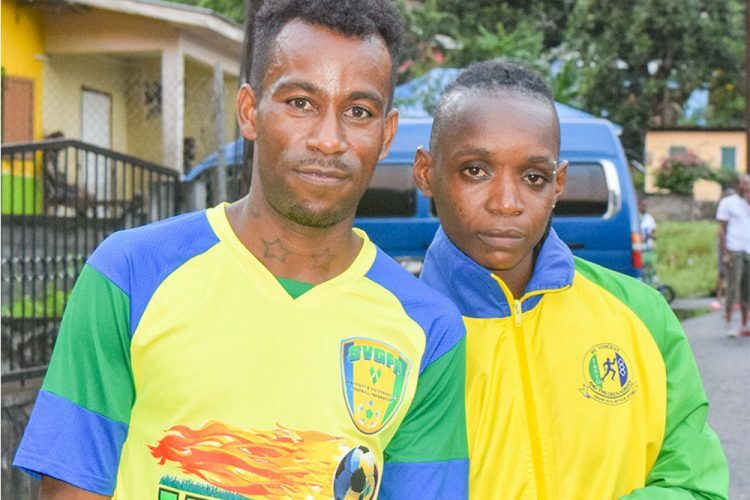 Junior Ashton and Linda Mc Dowall, for the third year in a row, ensured that the international titles of the NACAC Chatoyer Endurance 10K, stayed with the host country St Vincent and the Grenadines. Ashton and Mc Dowall copped the first places in the men’s and women’s brackets respectively, when the 2018 edition was staged last Sunday from Gordon Yard to the Chateaubelair Playing Field on the leeward coast of the mainland. Ashton’s winning time was 41 minutes 24.50 seconds, over two minutes slower than his 39 minutes 58.40 seconds, registered at last year’s event. But Mc Dowall‘s 51 minutes 25.96 seconds was marginally slower that her 51 minutes 29.72 seconds, which she recorded in 2017. In the process, Ashton and Mc Dowall each pocketed US$1,300, for their triumph, with Ashton adding a bonus $100 for being the first athlete to reach the 5km mark. Ashton, though, had to ward off a challenge from the Guyanese pair of Winston Messigher and Cleveland Thomas, who ended in second and third places, respectively. Messigher’s time was 41 minutes 31.41 seconds and Thomas stopped the clocked at 43 minutes 26.73 seconds. Messigher thus earned US$700 and Thomas, US$500. Meanwhile, in the women’s segment, Vincentians swept the top three, with Kieffer Bailey second in one hour 1 minute 41.89 seconds, and Tamara Woodley, third, in a time of one hour 7 minutes 9. 98 seconds. Two other overseas athletes competed in the international category. They were Joshua Hunte of Barbados, who was fifth and veteran Trinidadian Curtis Cox, who placed sixth.